Where have these been all our lives! Storage solutions can be bulky and awkward. There's nothing worse than feeling like your home's constantly messy — especially when the items causing clutter are necessities. Enter Jenn Falik and over a dozen "better basics" — innovative storage solutions for every space in your home. Tried, tested, and loved by the lifestyle expert, these items can replace household staples easily. Here are her picks for the new, creative storage products you need this year. Finally, there's a solution for tricky bobby pins. 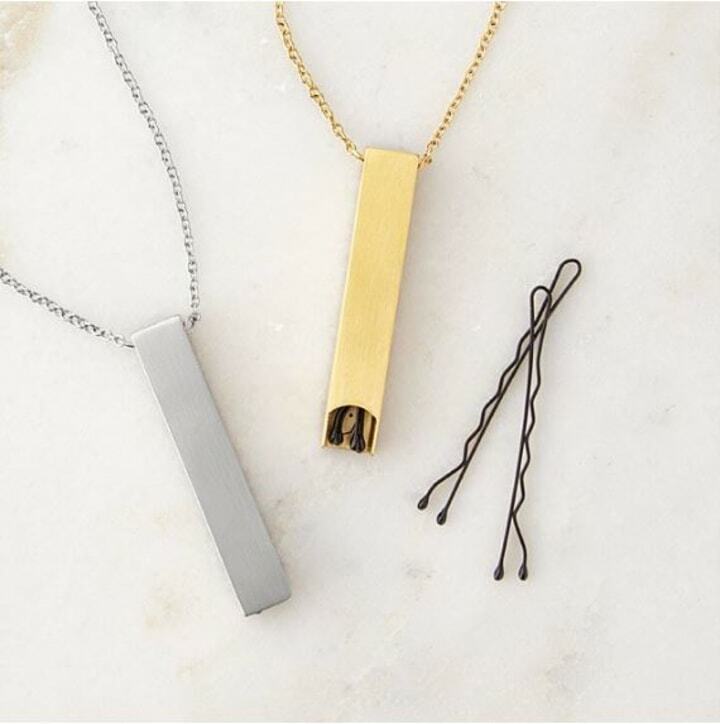 Rather than dropping them to the bottom of a purse, just slide them into this stylish, simple pendant! A similar version, for $89, holds a lip balm. The stainless steel piece comes in two colors, adding sparkle and functionality to any outfit. 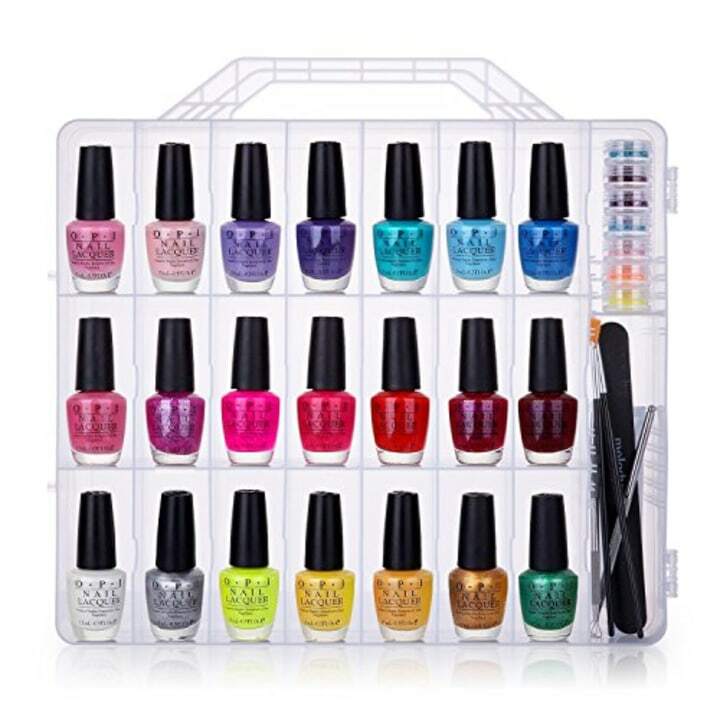 Rather than leaving bottles of nail polish loose in drawers or on racks that can break easily, try this smooth nail polish case! It holds most brands of polish in individual cubbies and seals shut. "[I] love that this can slide right into a bathroom cabinet for out-of-site, no-stress storage, and is easy to transport," Falik said. With space for nearly 50 bottles, this can organize almost any collection! This deceptively simple acrylic holder can handle any style of headband, no matter its width or material, and hold it without stretching or distorting the shape. "I affixed this to the wall of my daughter’s closet (you can use simple removable wall tape!) and it is genius!" said Falik, who also uses the product to store sunglasses. "I just slip the 100 headbands she collects in, and they stay put until she wears them next. Plus, it is easy to remove and re-attach so as she gets taller, I can keep them at eye level." Also available at Amazon and Walmart. According to Falik, this product is the solution to the age-old problem of lost socks. The organizing system keeps dirty socks together until they're ready for the wash. On laundry day, just put the whole organizer into the washer or dryer, and when the cycle is complete, you'll have perfectly paired and clean socks at the ready! This item is also available at Savor and The Grommet. 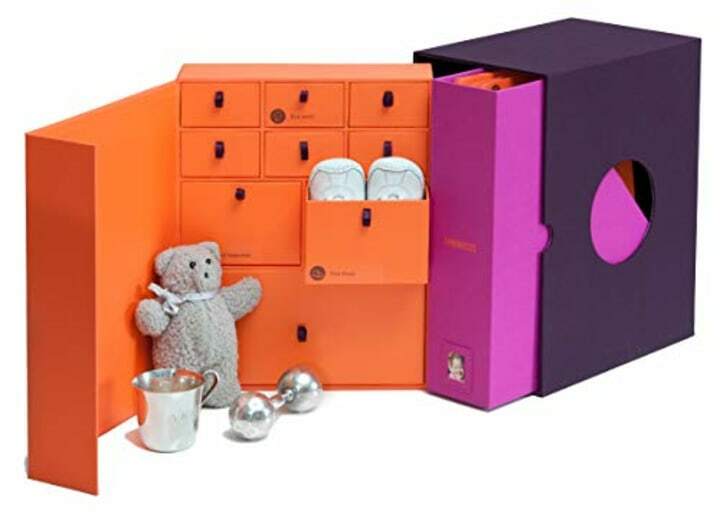 Rather than risk losing precious keepsakes to disorganization or damage, keep them together and stylishly displayed in this custom-dyed system. With vertical drawers for things like birth announcements and photographs, drawers for keepsakes, and illustrated stickers, this personalized organizer will become the home base for family memories. Available in an extra large size at Walmart. 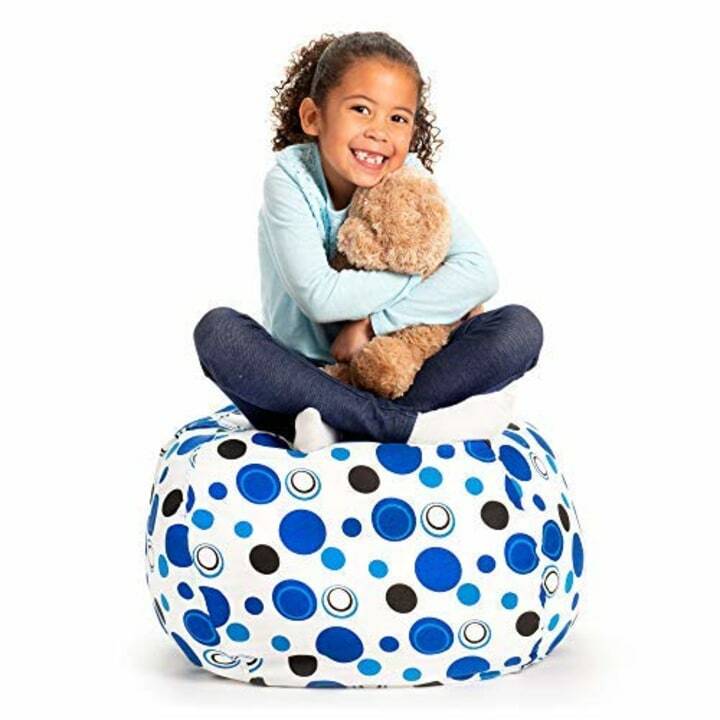 Rather than let stuffed animals pile up in closets, store them in this comfy and convenient bean bag chair! With room for dozens of furry friends, this chair is the ultimate space-saver. Its storage capabilities aren't just limited to animals — it can be filled with blankets, throw pillows, or spare costumes. With a lifetime guarantee and durable fabric, it'll keep all the childhood essentials organized. Keep sports equipment organized with this rack. 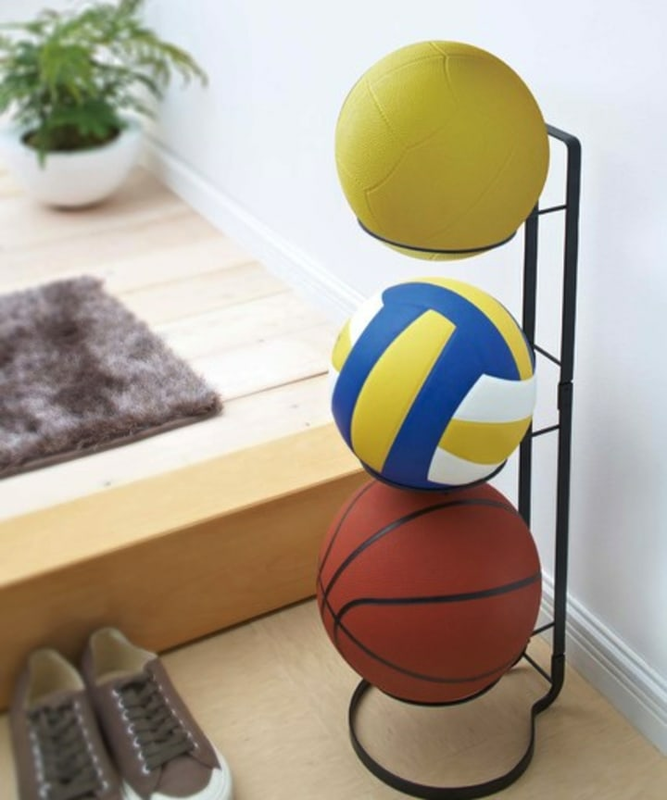 Able to hold up to three balls, the stylish steel column will save space — and reduce the risk of tripping over a rogue soccer ball. Lightweight and easy to clean, it'll organize even the most dedicated athletes. The battery drawer is the bane of many a home — a void of unorganized, loosely rolling batteries. Resolve the issue with this organizer. 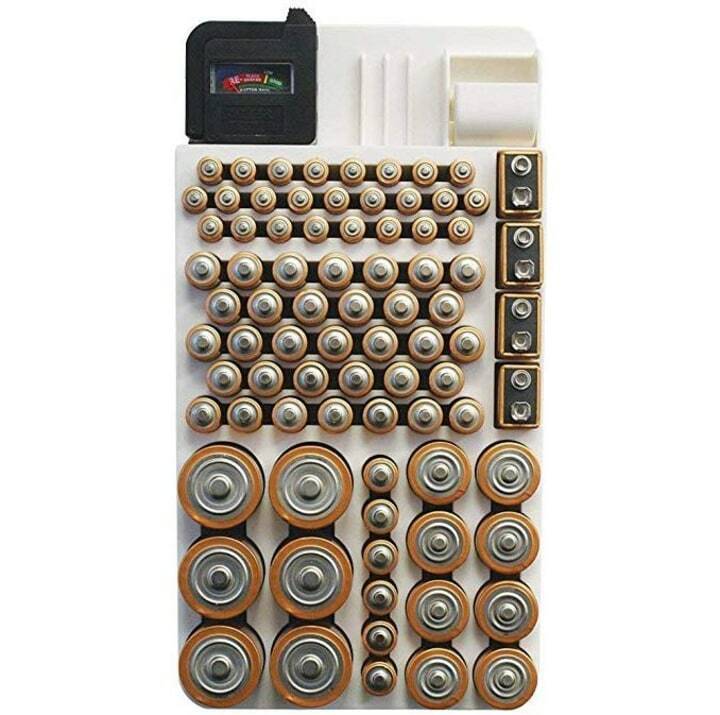 Capable of holding AAA, AA, C, D, and 9V sizes, the gadget can hold almost any battery, and the detachable tester ensures you'll never have to wonder about the charge again. With the option to store it in a drawer or mount on a wall, this organizer will banish the battery-drawer chaos. 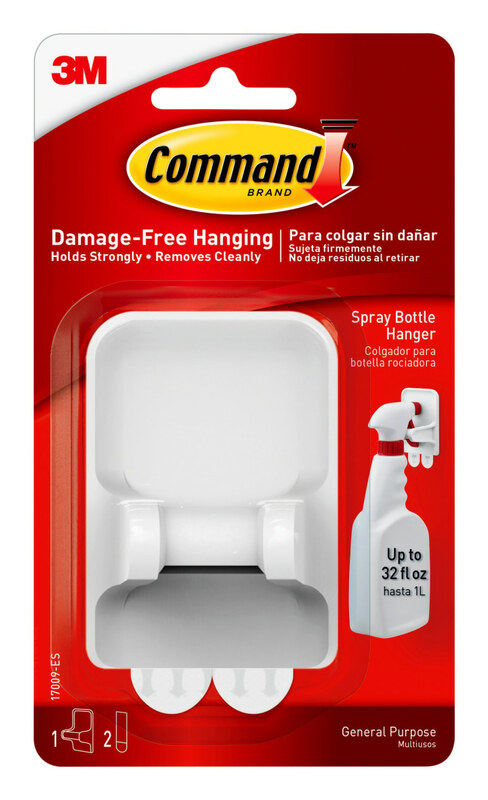 Free up space for other essentials by hanging cleaning supplies on one of these stick-on hooks. They can be attached to the inside of a cabinet door for easy access. 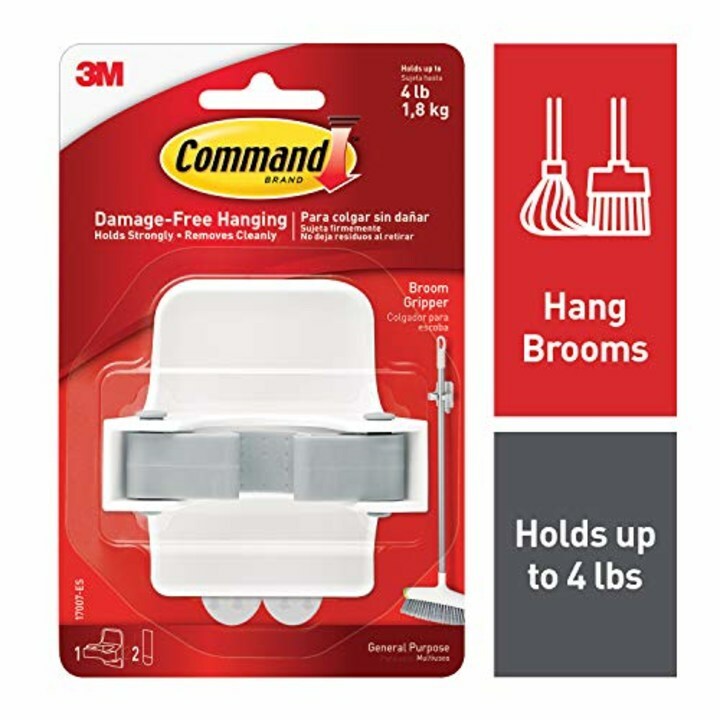 The brand's broom hanger is equally as handy, and can be hung up inside a closet to keep larger cleaning essentials organized. 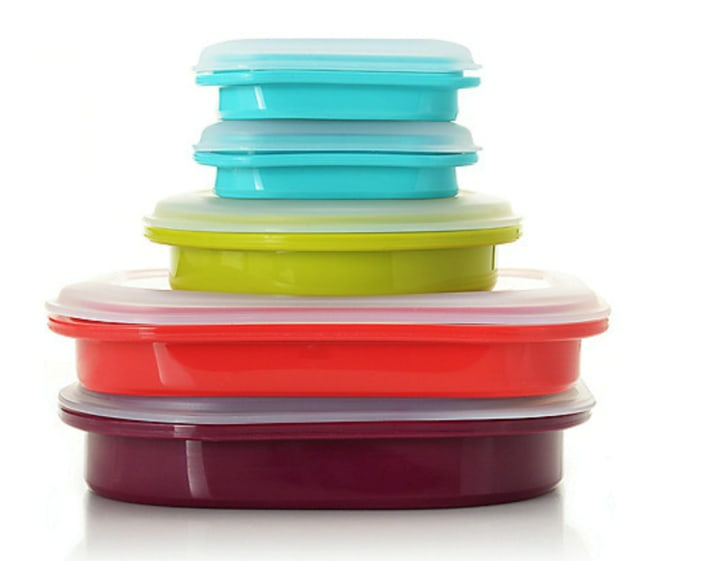 Tired of having to sift through lots of loud lids to find the one you're looking for? 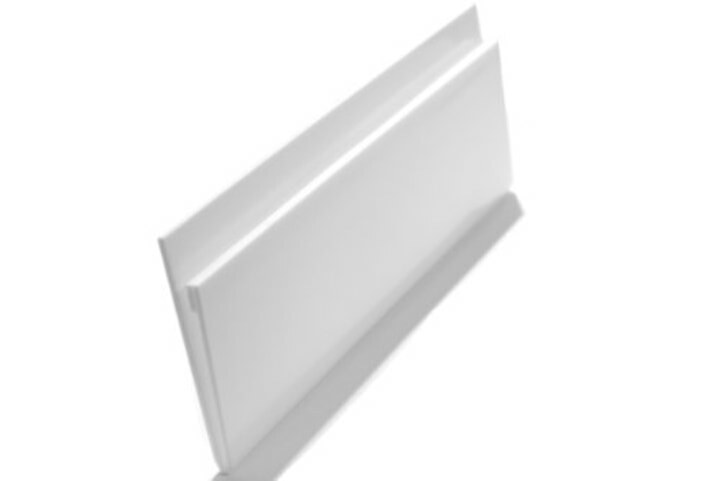 Try streamlining your cabinets with this universal silicone lid. Made to fit most traditional-sized pots and pans, this invention is dishwasher safe, heat resistant, and oven safe. Flat and thin, it's perfect for storage and stacking. "Since I switched over to collapsible containers and colanders, I have freed up most of the deep drawer space in my kitchen- game changer!" said Falik. These products are just as functional as your regular storage container or colander, but they fold completely flat and are perfect for freeing up valuable drawer space. This simple tool will double the space in any refrigerator. The two strips hold three bottles each, six in total, leaving plenty of room underneath for groceries and other items. Convenient, strong, and effective, these strips will soon become a fridge must-have. Also available at Amazon and Target. Rather than deal with bulky plastic coolers that take up lots of space, try switching to this collapsible option. 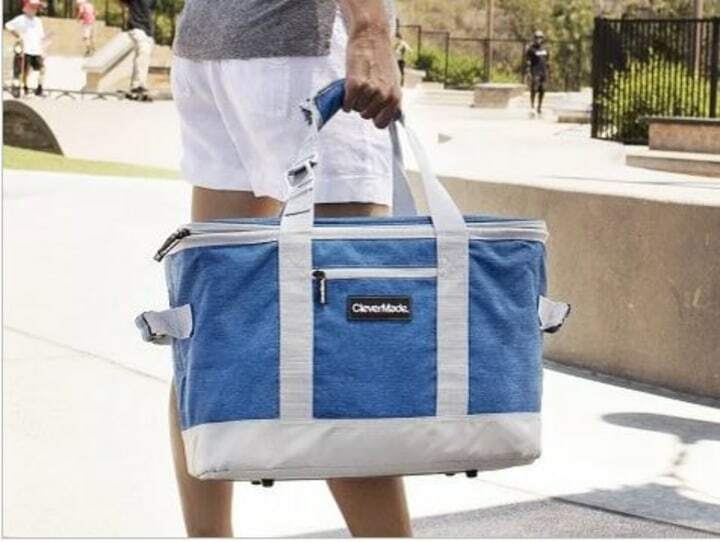 Leak-proof and capable of holding up to 50 cans, this cooler keeps drinks cold for up to 36 hours. 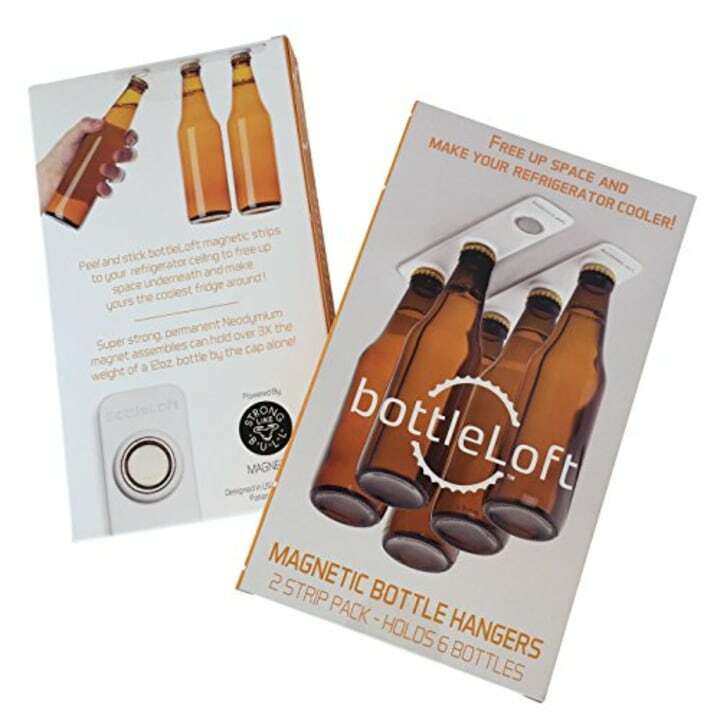 It folds down to just a three-inch layer, and if that's not enough, it comes with a built-in bottle opener!